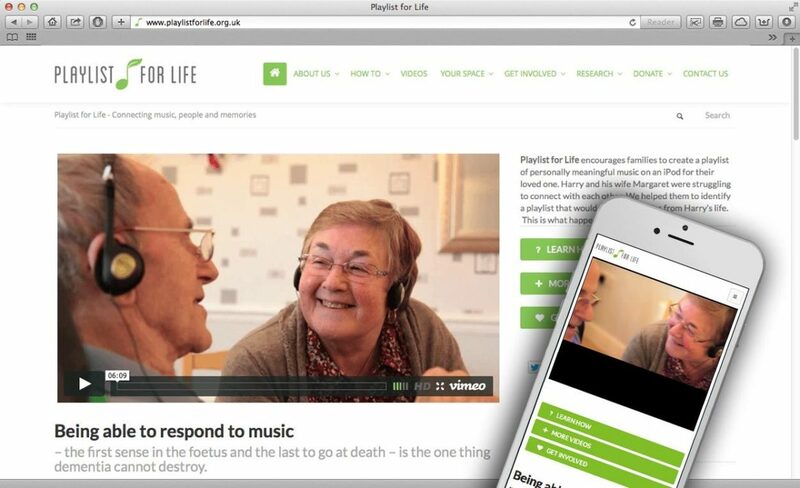 Playlist for Life encourages families and caregivers of a person with dementia to create a playlist of uniquely meaningful music on an iPod and offer it at any time of the day or night. It is effective both at home and in residential care, at an early stage of the condition and later on. Working in conjunction with and LA-based designer, we developed the site over a number of weeks. Thanks to the WordPress based (CMS) nature of this site, the charity’s volunteers are able to update the site themselves.